There are two types of people in this world: those who love leftovers and those who hate them. Growing up in a family where both parents worked, I am used to having leftovers and I love them. Many of my favorite dishes that my parents cooked actually taste even better on second or third day: think borsch, stuffed cabbage, Russian potato salad. Plus, because I live solo and don't feel like cooking every single day, I'm used to making 2-6 servings of a particular dish and then eating it throughout a week or freezing it for later. What about you? How do you feel about leftovers? 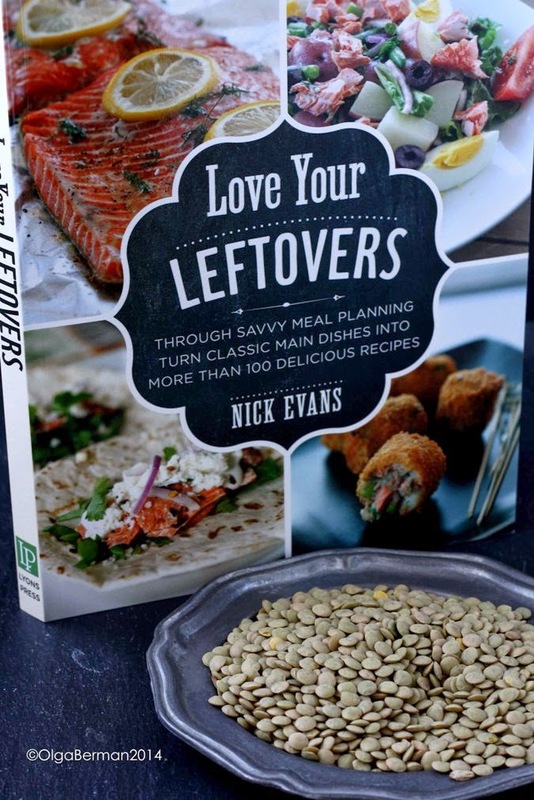 If you love leftovers or want to learn to love them, then you have to check out a new book from Nick Evans called Love Your Leftovers. I've met Nick through food blogging when he still lived in Washington DC and am so happy for him! The book is truly awesome. Nick not only has a few chapters about kitchen and pantry basics and meal planning, but also addresses the issue of finding time to cook. The book is written in a friendly approachable voice and has great photos to go with the recipes. 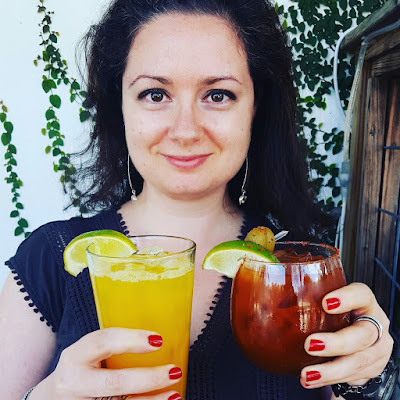 Speaking of the recipes, Nick first gives you recipes for dishes such as black beans, pulled pork, ice cream and roast salmon, and then provides multiple ideas of what to do with each of the recipes with several variations. This way you aren't necessarily eating a black bean lasagna for the entire week (I just made up that recipe myself!). Instead, you are making a large pot of black beans and then using them in different recipes which makes it less likely you'll get bored. 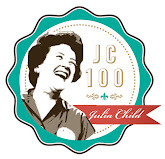 Go buy the book: you will have countless new recipes to add to your repertoire. 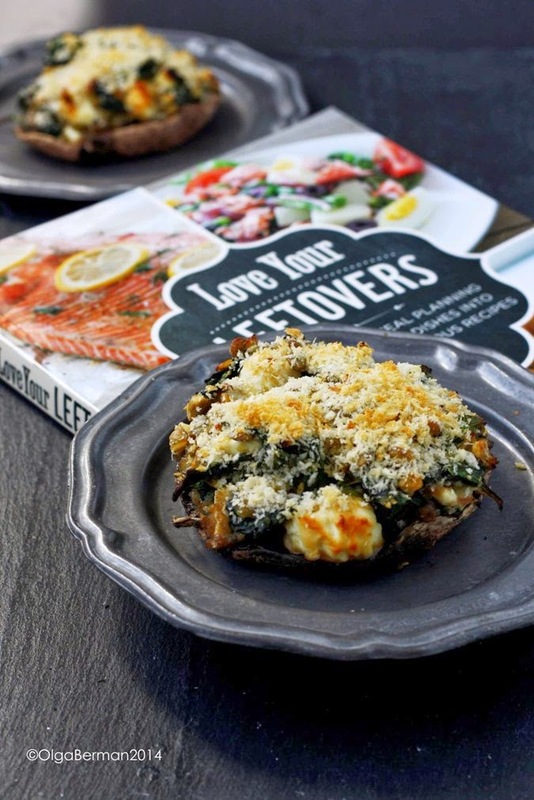 Because I love lentils and had a few portobello mushrooms in my refrigerator, I opted to make Stuffed Portobello Mushrooms from Love Your Leftovers. 2. In a large skillet, add a drizzle of olive oil over medium heat. Add the garlic and fresh spinach. Pour a few tablespoons of water into the pan to help the spinach cook down. 3. Once spinach is cooked down, stir in lentils and season with salt, pepper, lemon juice, and a dash of hot sauce (if you're using it). Stir until lentils are warmed, just a minute or two. 4. Remove mixture from heat and stir in feta cheese. 5. 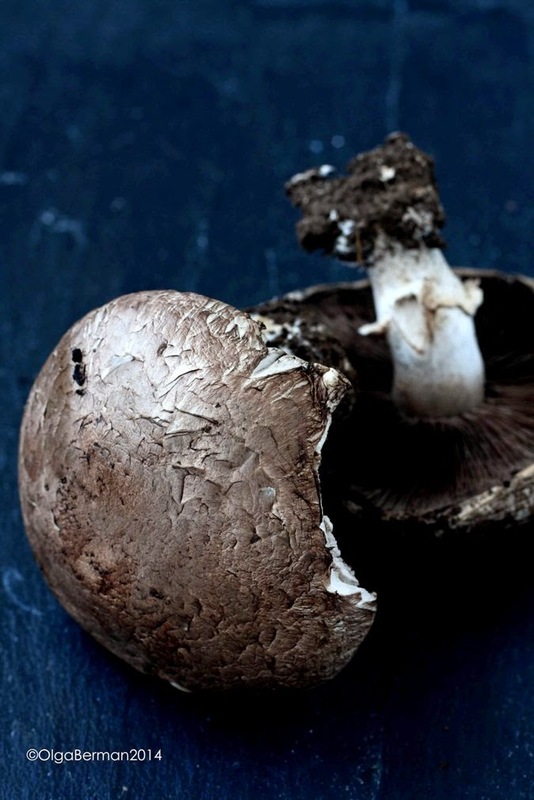 Lay out four cleaned large portobello mushrooms in a baking dish and drizzle them lightly with olive oil. 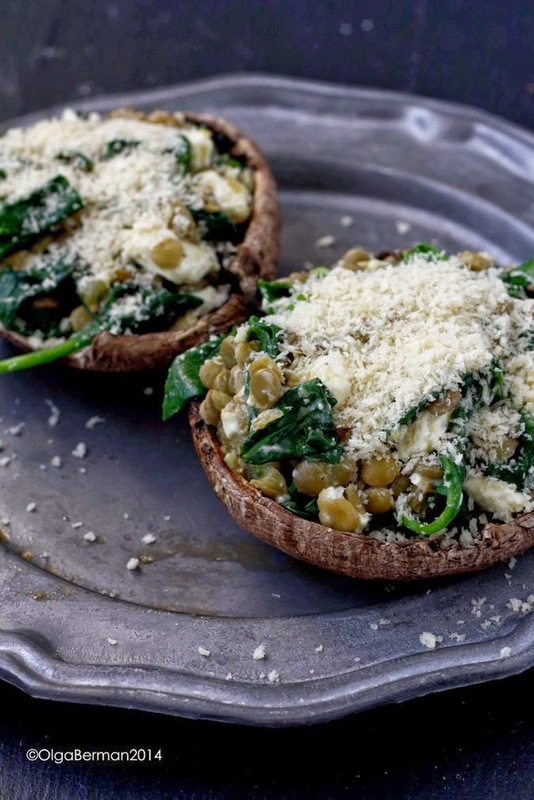 Divide lentil filling between mushrooms and top each mushroom with bread crumbs. The filling should overfill the mushrooms. 6. 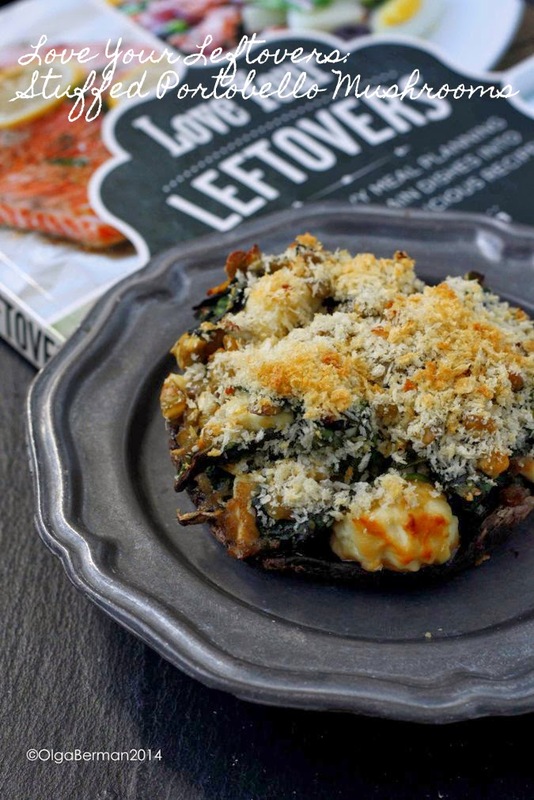 Bake stuffed mushrooms until mushrooms are softened and bread crumbs are lightly toasted, about 30 minutes. Serve immediately with a side salad. This recipe was extremely simple to make and had great flavor and texture. I particularly liked the panko crumbs on top and the feta in the filling. Also, I only made 2 mushrooms and enjoyed the rest of the stuffing mixture as a side. This is definitely a keeper! Disclosure: I was sent a review copy of Love Your Leftovers book. I was not compensated for this post. All opinions are my own. I'm good with a day or two of leftovers and then I want something new. The mushrooms look tasty!